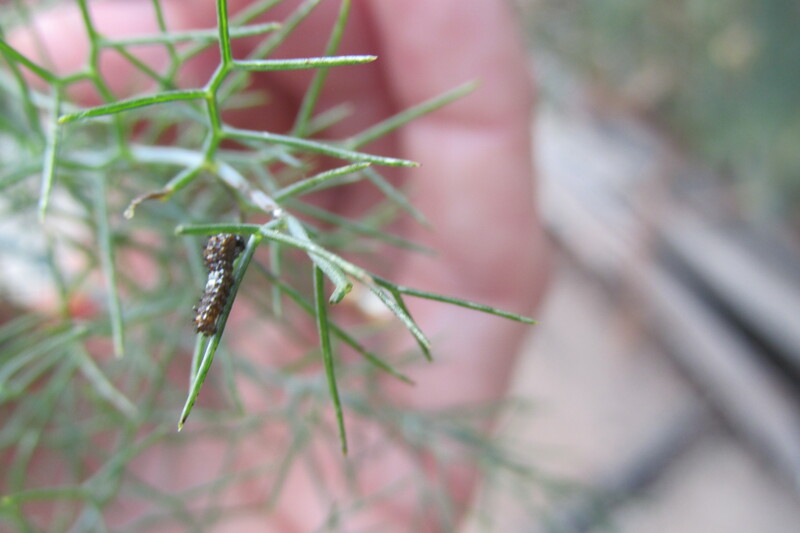 Is our very dry year having an effect on the numbers of butterflies we are or are not seeing? 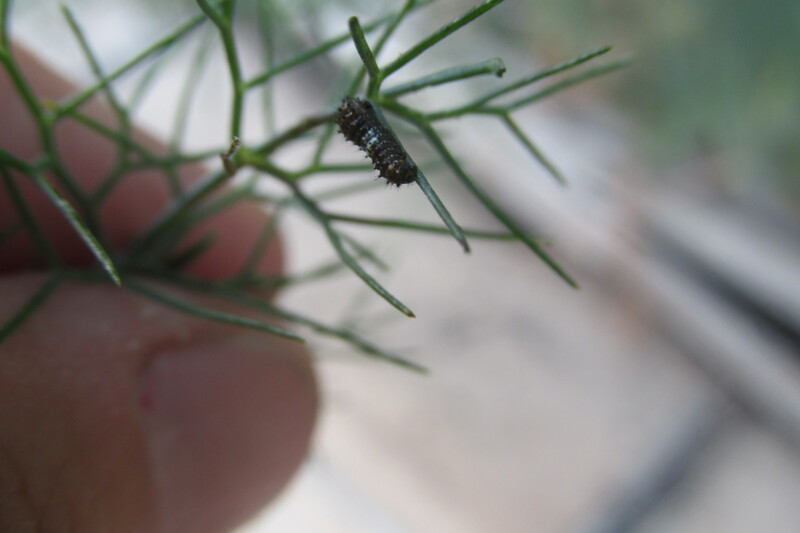 We’ve been searching on every anise plant we see for caterpillars and have only seen aphids, which sometimes come around when plants are stressed. Today, however, this fellow and his tiny friend showed up. 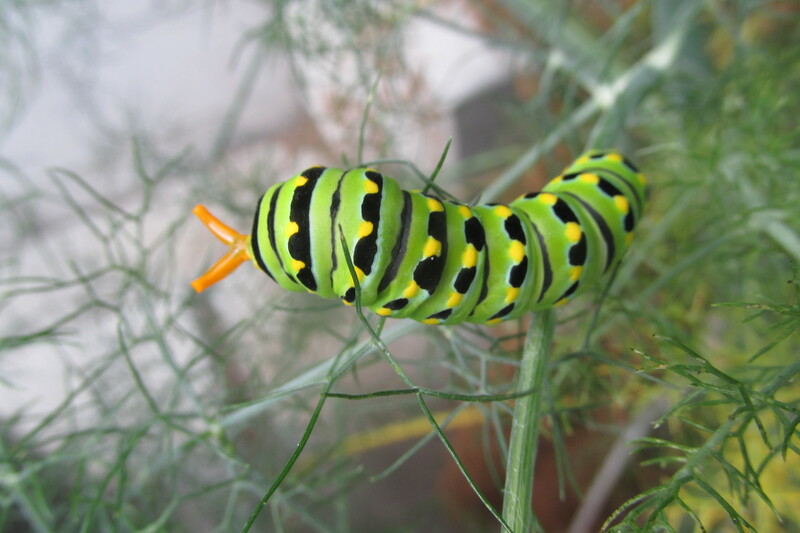 The small caterpillar is in one of the earliest instars, or stages, of the Anise Swallowtail caterpillar. It looks like a small piece of bird poo. The large one is one of the last instars, and extends its “horns” when alarmed, sending out a foul odor that I, with my perpetually stuffy nose, could barely smell.